I might have to grill a turkey one day now! :-) Looks yummy. Sounds like a great Thanksgiving. And I agree... Thanksgiving gets better with age. 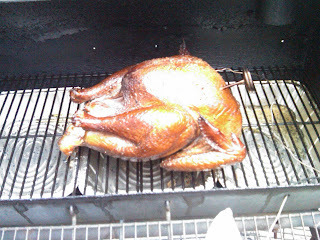 I'm impressed with anyone who can successfully grill anything, let alone a turkey! Kudos to you.